Revisit the most celebrated comedy in television history like never before when I LOVE LUCY: THE ULTIMATE SEASON TWO BLU-RAY brings the laughs in sparkling high-definition August 4 from CBS Home Entertainment and Paramount Home Media Distribution. Every episode of the beloved sitcom's second season is beautifully restored, giving fans a chance to relive their favorite moments in a whole new way. I LOVE LUCY: THE ULTIMATE SEASON TWO BLU-RAY includes all 31 episodes of the series' second season in night-of-broadcast form with sponsor openings and closings that had originally aired from September 1952 to June 1953. Viewers also have the option of watching the program with the more traditional "heart" openings and closings without commercial interruptions as well. A highlight to the second season collection is the famous "Job Switching" episode, with the iconic, laugh-out-loud scene of Lucy and Ethel scrambling to contain a chocolate factory conveyor belt. Viewers can experience the classic episode in multiple ways with this collection, which includes the original black-and-white broadcast form with option for audio commentary, as well as the newly colorized version, which first aired on CBS December 7, 2014, and even in its rarely seen French-Canadian version, including unique opening and closing graphics and French-Canadian audio track. This collection also includes the groundbreaking "pregnancy episodes," including the touching moment at the Tropicana when Lucy breaks the news to Ricky that they are going to have a baby, and when "Lucy Goes to the Hospital," in which Lucy gives birth to their son. Jam-packed with tons of special features, the collection also includes I LOVE LUCY: THE MOVIE, comprised of three season-one episodes edited together with additional interstitial material to form a seamless storyline. I LOVE LUCY: THE MOVIE is making its debut in beautiful high-definition with this release. Also included in the set are scenes from "Stars in the Eye," a CBS special from November 1952, featuring the I Love Lucy cast, an I Love Lucy comedy sketch originally presented on "The Red Skelton Show" in May 1953, select episode galleries, guest cast profiles, production notes, radio broadcasts and much more. 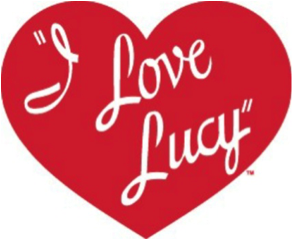 I LOVE LUCY: THE ULTIMATE SEASON TWO BLU-RAY will be available as a five-disc set presented in 1080p high definition with English Mono Dolby Digital and Spanish 5.1 Dolby Digital and English SDH and Latin American Spanish subtitles. The Blu-ray is Not Rated in the U.S. and rated G in Canada. It will be available for the suggested retail price of $130.00 U.S. and $150.00 CAN.